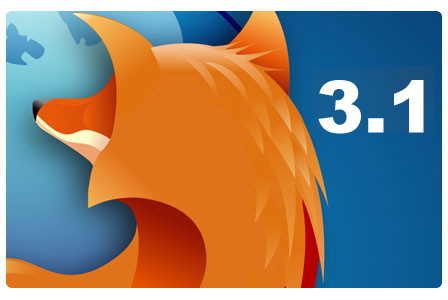 Firefox 3.1 beta had been released on 14-Oct and some people might curious to know what are the great features being offered in this beta version. There are several new enhanced features that have been included in this release as documented in release notes. One of the features that I found to be very useful is the Smart Location Bar enhancement. Smart Location Bar enables you to narrow down your search scope when typing something into location bar and eventually let you find out the webpage which you vaguely remember, as well as to let you search specific keyword from the specific website without the needs to purposely visiting that website. To use the special character in location bar, you can type the keyword followed by the special character. If you would like to look for ‘digital’ keyword from history, you can type “digital ^” (exclude double quote when type at location bar). You can mix and match the special characters as well to further restrict your searching scope, such as “digital @ #” to only match the keyword from URL and title. i) Visit the website that has the search field that you would normally use to search the site. ii) Right-click on the search field. Select “Add a Keyword for this Search” from the context menu. iii) The Add Bookmark window pops up. Enter an appropriate name for the bookmark. For example, Name: My Digital Life, Keyword: mdl. iv) Select the bookmark folder to keep the smart keyword, then click OK button to save the setting. To use the smart keyword you have created, enter the keyword and the search string in the location bar and then press Enter. For instance, enter “mdl tips and tricks” (without quote) in location bar then press enter. You will get the search results returned from My Digital Life website.